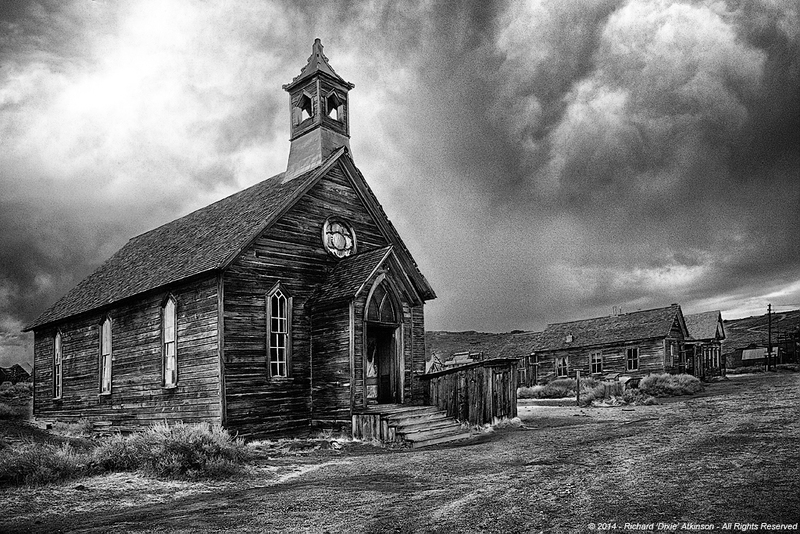 Church during a storm in Bodie. Bodie is a ghost town that was founded by four prospectors in 1859. It was named for one of them who died during a blizzard the first year. A post office operated there from 1877 until 1942. It became a historical park in the early 1960’s. The Methodist Church shown in the photograph above was built in 1882. It was one of only two churches in a town which supported between 60-70 saloons. The last regular church service was held in this church in 1932. The banner photo of the old rusted out car used for this blog was also taken in Bodie. See more photos of Bodie in my Bodie State Historical Site Gallery. You are also invited to visit my many other US National Park Galleries as well.